It was not by accident that we chose ‘Moving Europe’ two years ago as the name for another project of support along the Balkan route. In summer 2015, we did not expect such a long and intensive struggle able to break the border regime, and in the same winter we could likewise not imagine such a quick and strong ‘roll back’ of the regime in 2016. But we anticipated, at least, that the increasing struggles of refugees and migrants and the immense wave of support and welcoming in the countries of transit and destination would have transformative and long-term effects for Europe – they were quite literally ‘moving Europe’. And although today (August 2017) the fight for freedom of movement seems to be pushed back into a defensive position, struggles on flight and migration are still vivid on various levels. Contested spaces still exist all over Europe and continue to shape the whole political landscape. To combine practical assistance with information-services, with monitoring, documentation and publicity against the EU border regime: these were the main aims, when the small Moving Europe network was founded. Our continuous presence along the Balkan route ended in July 2016 – the consequence of a lack of resources but we left with many open questions concerning further strategies. Several of our members have left the project in the meantime, but we, nevertheless, want to continue to contribute to the wider network for freedom of movement. We are still convinced of the necessity of long-term structures to support the ongoing daily struggles against the borders. Putting together this brochure is one way of keeping the network active and visible. To foster transnational communication within the supporting groups was and remains an important part of our project. 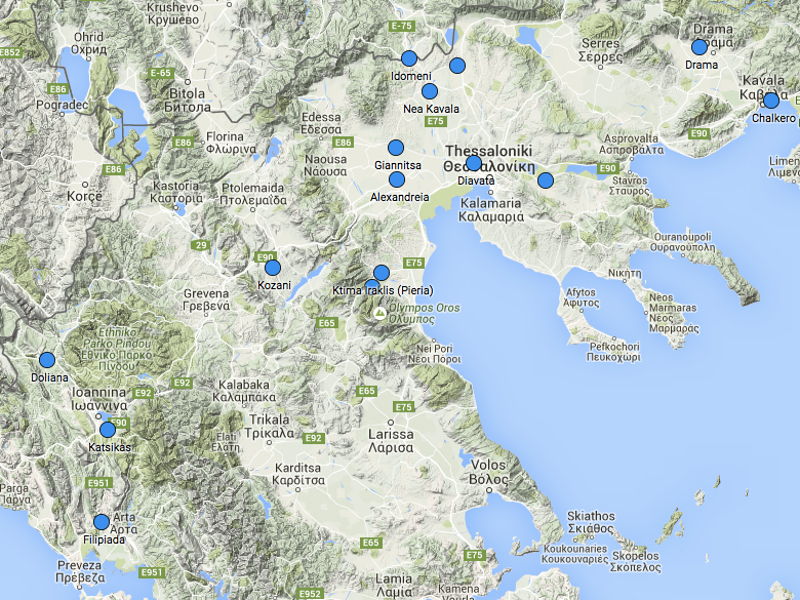 As part of the NoBorder Camp in Thessaloniki in July 2016, we helped organize a Balkan route conference. And we were also involved in another networking meeting in Budapest in May 2017: ‘Resistance along the Balkan Route – reflections, exchange and future strategies for united struggles.’ In reference to this meeting, this brochure provides several updated insights into the situations in various cities along the route, from Turkey up to Germany. We do not pretend to offer a comprehensive overview. Rather, we present fragments of a situation which is still changing. The texts and articles of the various groups and friends along the Balkan route are some of the main elements of this brochure. In addition, the brochure offers a detailed chronology of 2015 and 2016, in-depth insights from friends in Thessaloniki, and different voices from involved refugees and migrants. It is an attempt to re-narrate the (hi)stories of the extraordinary months of 2015/16 and thus to contribute to a collective memorialisation of struggles around flight and migration. The second anniversary of the historic March of Hope from September 2015 appeared to us as a suitable moment to publish and spread the brochure. Finally, the brochure includes insights on the wider context of struggles and contested spaces, into which we want to integrate the evaluation of 2015/16 and the updates after (or still within) the racist roll back of the border regime. 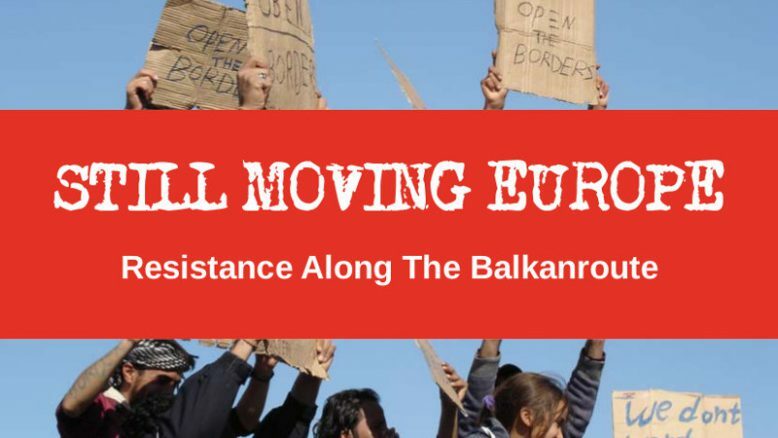 An excerpt of the recently published ‘Report about a formalized corridor’, an article on push-backs in the Balkans, a report from Lesvos and a longer article about the last eight years of struggle against the Dublin-regulations, and last but not least articles about building communities and about the transnational social strike, will illustrate what we mean when we refer to the existence of contested spaces. Our practices were always based upon an understanding of everyday resistance, a continuous struggle for spaces of movement, and spaces of autonomy. During the Summer of Migration, we saw what has been referred to as the Autonomy of Migration. And yet, the situation along the Balkan route has changed dramatically since the dirty deal with Turkey, and the closure of the Greek-Macedonian border. The demolition of the barracks of Belgrade in May 2017 signified the end of any autonomous movement able to cross the Balkans. Already before, the Balkan route turned back into what it had been in 2014 and in the beginning of 2015: a route mainly managed by smugglers and drivers. There are still several thousand passing monthly, but it is a passage characterised by anxiety and the risk to life, and it is expensive financially. Nevertheless, we should not make the mistake to declare the Balkan route dead. There are all these fences and regimes, but Orbán and all these other regressive structures and tendencies in Balkan politics may just represent an interim nightmare. The cause of liberation and the cause of migration will walk hand in hand. Our common struggle will survive. After the closure of the Aegean Sea and Idomeni, movements through the passage of the Central Mediterranean route, from Libya to Italy, have increased until recently, and also the composition of migrants has changed, socially and ethnically. Exploitation of migrant labour has, shockingly, increased, but so have forms of autonomous migration across Europe. They have closed down the Jungle of Calais several times, but informal routes and camps pop up all over Europe. Greece and Italy may become the countries where new ways of solidarity are invented, centred around the Mediterranean. The Palermo Charta is a milestone. Yes, we think that within the Mediterranean European regions stronger connections to the Maghreb and Africa may develop – not by referring to neo-colonial approaches, and not by developing the post-liberal informal labour markets, but by creating strong ties of solidarity from the bottom. We hope and believe that this will crash the European unity as it is enforced by the North. With this in mind, we have to speak about Germany as the main destination country. There are one million migrants who have reached Germany over the last two years. There are continuous struggles every day, in the camps, at the places of registration, at police stations, and on the streets. Networks of support and mutual assistance are being built. Reproduction in contexts of family and neighbourhood, and communities are most important. Nearly all of the newcomers do have a permanent exchange with their families and friends who are still far away, and there are many who want to follow. One million migrants might be enough to be a basis for chain migration to take place in the near future. We want this and we invite them to come. Europe will be moved in Germany as well, due to the still enduring strength of what was called “Willkommenskultur”, and due to the everyday resistance of the migrants. These are the two factors which we refer to when speaking about the legacy of the great migration movement of 2015. Out of this special mixture there may emanate strong Communities and Solidarity Cities. Europe might become a better place to live. Weiter → Nächster Beitrag: Can’t stop a movement!